●Clean the wall surface before use, make sure there is no water, dust, oil or wax. It's recommended to use on a smooth flat surface. ●Tear off the protective film on the back of the adhesive sheet and paste it. ●Press firmly on the surface of the film and remove the air from the middle outward. ●Hang the connector on the adhesive sheet. ●It is more effective use after 12 hours. 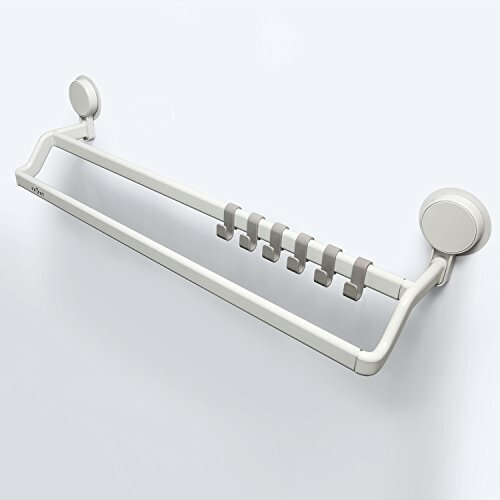 This towel bar is suitable for glass (except for frosted glass), ceramic tile, stainless steel plate, paint plate, smooth cement paint wall, smooth marble, plate, acrylic plate, smooth wood, etc. The smooth wall surface is suitable for the paste of this product. If you have any questions about this product by Dxcel, contact us by completing and submitting the form below. If you are looking for a specif part number, please include it with your message.